How To Unblock Websites At School And Colleges Without Using Any Proxy Sites ! Hello everyone how you all doing i hope everyone is fine n if you are not trust me soon after reading this post you are definitely gonna feel fantastic !!! which are kinda more important then our daily diets to live in today's world,you are left behind with the big name Google as the only option on the name of Internet at your school,college and your workplace well so was i few days back until i found this after day n night of hours and hours of search well it's called as "tor". It's time to show them that if they are bad we are there dad !!! It's time for some "kickass" action "geeks" you are WELCOME TO THE SHOW!!! 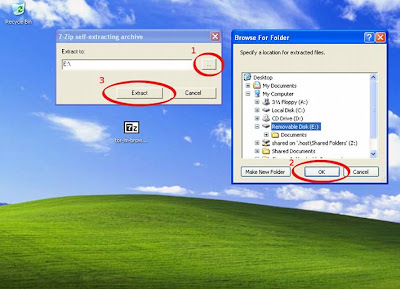 The best part is it's all free no hidden charges,now save that file anywhere you like, most probably on DESKTOP so that you can easily find it now double click to start the extraction and execution process if you are a FIREFOX lover like me you are gonna love this i promise...just follow the SCREENSHOTS. Click Extract (3) to begin extraction. This may take a few minutes to complete. Once extraction is complete, open the folder Tor Browser from the location in which you extracted the bundle. The "VIDALIA" window will shortly appear. 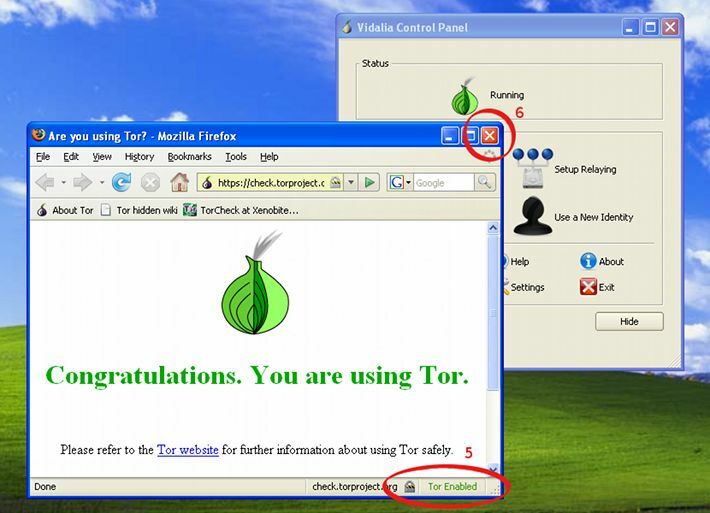 Once Tor is ready, Firefox will automatically be opened. Only web pages visited through the included Firefox browser will be sent via Tor. Other web browsers such as Internet Explorer are not affected. Make sure that it says "Tor Enabled" (5) in the bottom right corner before using it. To reduce the risk of confusion, don't run Firefox while using the Tor Browser Bundle, and close existing Firefox windows before starting. 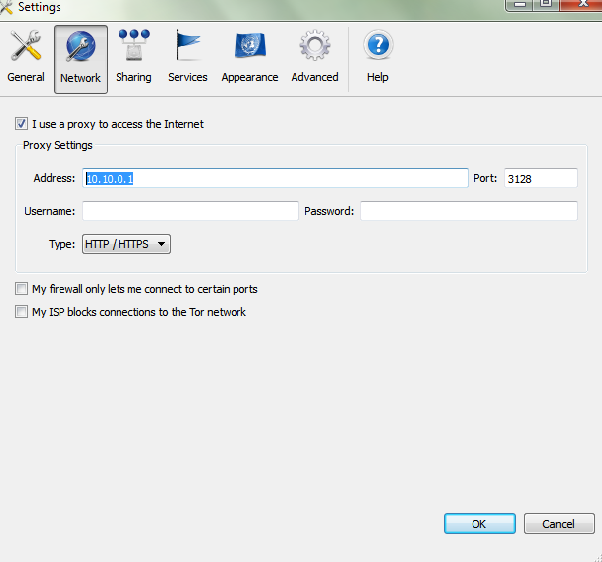 Just go to the "TOR" settings and enter the address of the proxy server given to you by your your institute admin. How To Make Anchor Text In Your Facebook Status For Promoting A Website ? If you are a user of facebook and want to promote your website by making anchor text in your facebook status then you can make anchor text in facebook by following method. (1) Logon to your facebook account. (2) On your facbook status type website which you want to promote and want to make anchor for that website. You can make the anchor text with the following example. (3) You will get the following. Do not click the share button. (4) Now click on the title of website. See the snap shot. (5) Now by clicking it you can change your website title and make a useful anchor text for your website. I Hope You Like This Facebook Trick To Divert Traffic To Your Site ! Step 4:The hash is d2491b289b6be1fd0bb0c8d60e053d3d you need to crack the hash. Go here and crack the MD5 hash Md5decrypter. Its very easy,have fun and enjoy unlimited accounts. Note :-"This tutorial is not to harm anyone & should not be used to harm anyone at any case "
1. A modern web browser and a internet connection. Method 1: Facebook! We will be using a google dork to find usernames and passwords of many accounts including Facebook! Enter that into Google, and you will be presented with several sites that have username and passwords lists! This will look for WordPress backup files Which do contain the passwords, and all data for the site! Simply a straight forward person !! !